Through the invitation of the Philippine Qualifications Framework (PQF) Coordinating Committee, the Colombo Plan Staff College (CPSC) and the Asia Pacific Accreditation and Certification Commission (APACC) represented by the APACC Officer Ms. Adrienne Abril, participated in the “PQF Act Implementing Rules and Regulations (IRR) Public Consultation for National Capital Region (NCR)” on September 21, 2018. The consultation was held at the Bayanihan Center, United Laboratories, Inc., Pasig City, Philippines. In line with the passage of Republic Act 10968 or the PQF Act of 2017, the Technical Working Group for the crafting of the IRR composed of representatives from the Department of Education, Technical Education and Skills Development Authority, Commission on Higher Education, Department of Labor and Employment, Professional Regulation Commission, and the Office of the Senate and the House of Representatives, organized public consultations in Luzon, Visayas and Mindanao, Philippines. 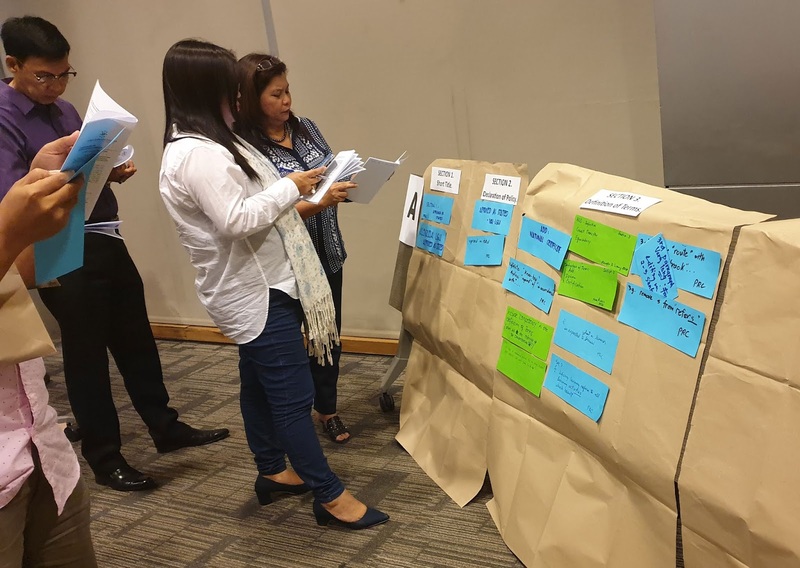 This activity, which is the last leg of the consultations, served as a venue for soliciting comments and ideas from officials from NCR to achieve an effective IRR. 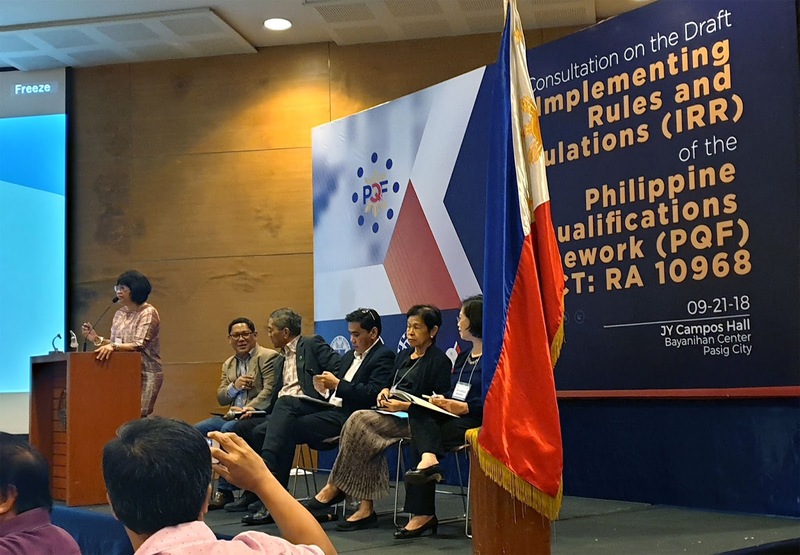 CPSC/APACC provided inputs and comments on the draft IRR and informed of the availability of information contained in CPSC publications on Asia Pacific countries’ Qualifications Framework, in case PQF Coordinating Committee requires it for comparison purposes. Key speakers from prominent Philippine institutions include Dr. Maria Cynthia Rose Bautista, Vice President for Academic Affairs, University of the Philippines; Dr. Reynaldo B. Vea, Chairperson, National Referencing Committee, Atty. Nepomuceno A. Malaluan, Undersecretary and Chief of Staff, Department of Education; and Mr. Antonio L. Sayo, Chairman for Intellectual Property Committee, Philippine Chamber of Commerce and Industry. The Department of Education Honorable Secretary Leonor Magtolis Briones, who is also the Chairperson of the PQF National Coordinating Committee, closed the event through a Special Remarks.